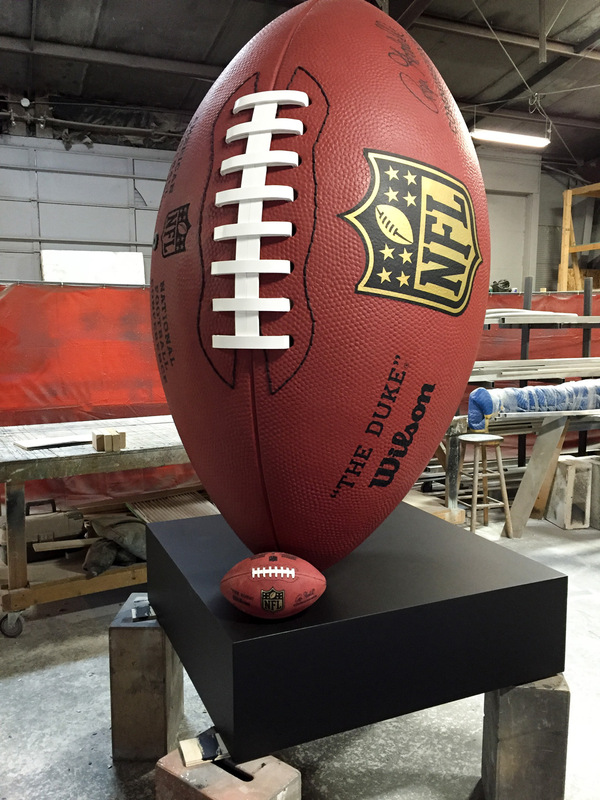 Just in time for the Super Bowl, our client was looking for an exact replica of the football used in the game for their in-store display. Only they needed a ball that was way, way bigger — 6x the size! Plus, it needed to be portable for brand ambassadors to quickly move it into place. We sculpted using a lightweight foam, hard-coated for durability. And, we created a special crate and harness for shipping and setup. From an initial request for “we need a really big football!,” we quickly created shop drawings and got right to work fabricating. The ball was on its way within the span of a couple of weeks.